Strap your iPhone on the chest! 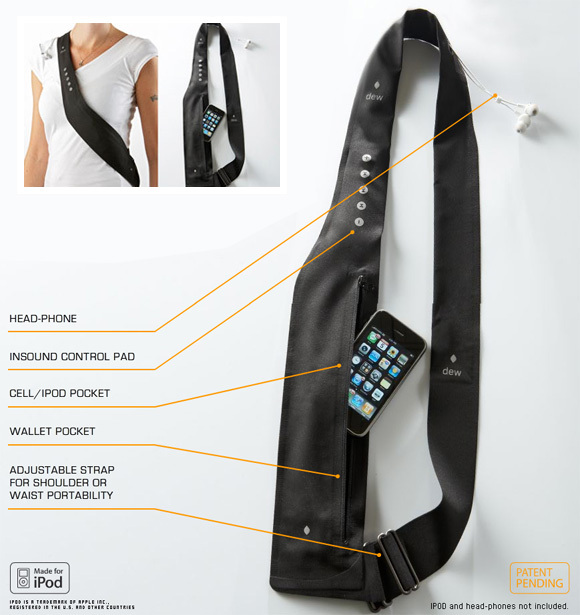 The Quiver is a shoulder strap with wallet pocket and a pocket for your digital gear (your iPhone, iPod or ...) with inSound controls, a soft control keypad based on Fibretronic’s CONNECTEDwear. Change a song, adjust the volume or answer a call with the Quiver’s inSound exterior keypad.